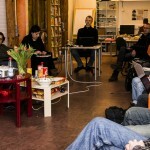 Experts on media education from nine European community radio stations and associations came together at Freies Radio Wüste Welle in Tübingen on February, 18th and 19th to talk about media and media literacy training. A fruitful and informative exchange on media training tools and approaches ensued and set the stage for a promising learning partnership in the coming 18 months… What is media literacy and in what way are it’s basic principles incorporated into the advancement work of German community radio stations in general and especially of Wüste Welle Tübingen? The meeting provided some input on theory and practice of media training and was designed to leave lots of room for discussion and exchange. Ronald Senft, the training co-ordinator for the alternative educational association of Bildungszentrum Bürgermedien (BZBM) talked about media education in Germany and the work of the BZBM. He focussed on the consolidation of cross-border training co-operation between media educators in different states. The BZBM is supporting media training in community media in four south-western German states including Baden-Württemberg. Senft had some exemplary numbers to illustrate the way means for education are distributed in the sector. Want to communicate Media Literacy? 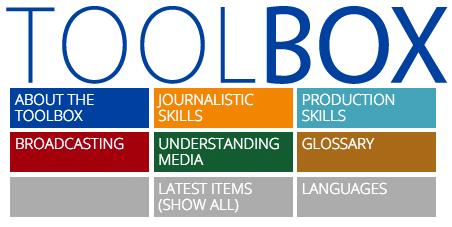 Need tools to convey journalistic and productions skills? Want to help people understanding media? UMAC – Understanding Media for Active Citizenship is a multilateral project funded by Erasmus+, the general education programme of the European Union.